The 4 companies Bräcker, Graf, Novibra and Suessen (Hall W4 / Booth C 07) unites world's leading brands for the supply of technology components to the textile industry, forming a global provider of components for all spinning technologies and will present at ITMA Asia the latest development to improve fibre yield and productivity, as well as power savings opportunities. As a renowned partner supplying premium components for key processes in the short staple spinning industry and nonwoven applications, Graf sets the focus at ITMA Asia on their Resist-O-top flexible flat clothing, DSW Flat Grinding Roller and the TSG Traversing Resharpening Device. Also of graet interest for visitors will be Graf’ s ASG Doffer Resharpening Device. Graf provides added value to customers spotlighting convenience at work, superior performance and focusing on high quality yarn output. The company is a leading manufacturer of metallic card clothing, stationary flats and flexible flat clothing, circular - and top combs for most major producers of carding and combing machines, roller cards as well as spinning mills. The resist-O-top generation of flexible flat clothings for processing of cotton, man-made -, and regenerated fibres as well as for blends and swing applications is another of Graf’s innovations with a noticeable impact in the market. The resist-O-top setting pattern favours the extraction of short fibres and trash as well as the elimination of neps. This flat series is progressively set without straight gaps between the rows of teeth. The wire dimensions for all C and M-types are selected with a difference of 5 numbers. The whole range of flats is available for all different types of cards. The flexible flat clothings which are manufactured with utmost precision have a considerably larger effect on the carding quality than the cylinder clothing. The number of neps in the card sliver is primarily determined by the condition of the flat clothings. For the periodic resharpening of the flat clothings on the card, Graf has developed the DSW flat grinding roller. It allows the economical and precise resharpening of the flat clothings. Throughout the life time of the flat clothings the resharpening process can be repeated at least 3 to 4 times, contributing to a large degree to constant nep values and yarn quality. 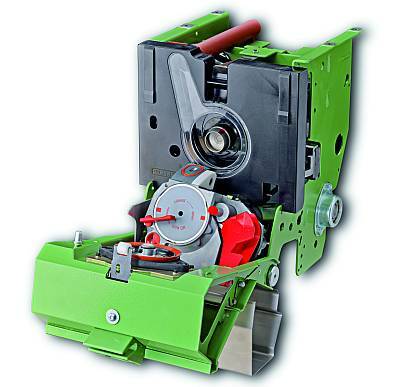 The DSW flat grinding roller is available for cards with working widths from 40” to 60”. The activating of today’s high-performance metallic card clothings calls for high demands on the skill of the maintenance personnel. It is extremely difficult to resharpen these very fine clothings burr-free with conventional grinding equipment. The resharpening of CUTTYSHARP clothings with such equipment is virtually impossible as the clothings made from this high alloy tool steel throw hardly any sparks during the resharpening process with a rotating grinding stone. Only the application of the TSG assures proper maintenance, full life-time and constant quality of these high-precision metallic clothings. The TSG is available for flat cards from 40” to 60” working widths. Specially developed device for the activating and resharpening of doffer wires on Rieter C60 and C70 cards equipped with IGS. 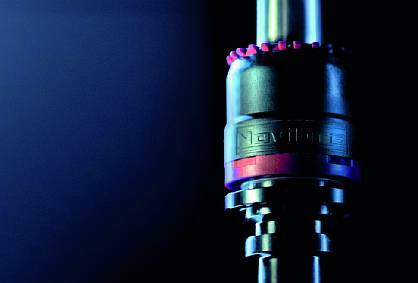 Novibra is a leader in spindle technology and the only 100% in-house spindle maker. A wide range of spindles has been developed to meet all requirements of yarn producers and spinning machine manufacturers world-wide. At ITMA Asia Novibra will demonstrate the advantages of their NASA HPS 68 spindle which has become a new standard for highest speeds and requirements for modern spinning mill needs. And the company will show their new clamping crown CROCOdoff with improved “CROCO teeth”. Novibra has always been focused on reduction spindle vibrations, higher speed, constant yarn quality, low maintenance and longer life time. Beside complete spindles Novibra supplies also individual inserts and thus also other spindle brands are equipped with Novibra technology. Double housing NASA HPS 68 spindles feature unique Noise Absorbing System Assembly that ensures top performance with minimum neck bearing load, vibration and noise level even at speeds above 20 000 RPM. NASA HPS 68 is the most used spindle in premium spinning machine. The high performance of spindles on modern automated ring frames requires state of the art clamping device for an effective and reliable doffing. New Novibra clamping crown CROCOdoff ensures improved cutting (no yarn underwindings) and brings the reduction of yarn breakage during start up. CROCOdoff has been designed for use on new machines as well as for old machines upgrade. First installations are running successfully on branded ring frames of various manufacturers. Good results are giving an optimism that CROCOdoff has a good future. Other benefits are reduced material loss, lower energy consumption and reduction of maintainance costs (less cleaning). Improved “CROCO teeth” design further evolve well proven solution of clamping of yarn. The machine contamination is minimized; no uncontrolled yarn-end flying leads to reduction of yarn breakage at start up and also to reduction of energy consumption. Reliable clamping and yarn cutting brings considerable advantages to the spinners during doffing. SUESSEN promotes all their products under the slogan: “... market oriented solutions...” , demonstrating the competence in handling and processing natural and man-made-fibres within the ring- and rotor spinning fibre formation process. SUESSEN will have a running ring spinning machine on the booth to demonstrate the show highlights. Naturally, the machine is equipped with the HP-GX 3010 Top Weighting Arm, the ACP Quality Package NT and the EliTe®Compact Spinning System. In Open-End Rotor Spinning SUESSEN will present their Modernisation SpinBox SQ as a drafting model, equipped with SUESSEN Premium Parts Spinning Components such as ProFiL®Rotors, ProFiL®Navels, ProFiL®Pads, TwinDiscs, TorqueStop, SOLIDRING, Fibre Channel and SUESSEN Premium Parts Spare Parts as ProFiL®Cartridge. Since its foundation in 1920, SUESSEN has been of great value for the spinning industry by an immeasurable amount of innovations and developments with lasting effect and influence on the history of spinning. Some historic developments are the Open-End Rotor SpinBoxes SE-Series for Autocoro Rotor Spinning Machines SE 7 – SE 10, the HP-A and HP-GX Drafting Systems for ring spinning and roving machines and the EliTe®Compact Spinning System.